So you have entered the colorful world of email marketing, your clients are piled up outside your door waiting for their campaigns to hit a generous amount of conversions and you sulk in your office staring at your computer wondering why aren’t you delivering results. You thought you’ve done everything by the book but still, analytics say otherwise. Fret not. Even pro marketers sometimes fail to generate the expected conversions. Why? Check these common mistakes that lead to the downfall of every campaign and reflect whether you have made these at one point in your career. The performance of every campaign doesn’t solely depend on the email marketing system you use but in the careful examination and analysis of the numbers it generates. These numbers are the most important details your client needs so intensive study on how to improve this is the best way to keep a client. The challenge of trial-and-error is sometimes too risky but this usually returns with a great number. By tweaking the headline, content, offers and design, you get to compare the numbers it generates until you reach client expectations. Before sending out emails, you have to have a clear purpose in mind. By knowing where the emails are leading and giving the readers a gist of what is to come, you build their excitement for the following messages that they will receive. How will an email generate numbers without CTAs? Your goal might be to lead them to the client’s landing page for a CTA but if it takes too much of the recipient’s time, not everyone might bite the bait. A good solution for that is split testing to see what works and what not. Content is the heart of the email. Create an appealing message that will influence your recipients without sounding too commercial. You can also use content advertising generators such as Viglink. They do automatic insertions of contextually relevant links to product offers which then increases your content’s quality while allowing you the opportunity to monetize. Use Viglink Anywhere for this. By parting the list into different areas such as interests, sign up dates and activity reports, you will get to craft a message specific to their needs which, in turn, will give back better digits. Here’s another read on list segmentation and how to get it done. 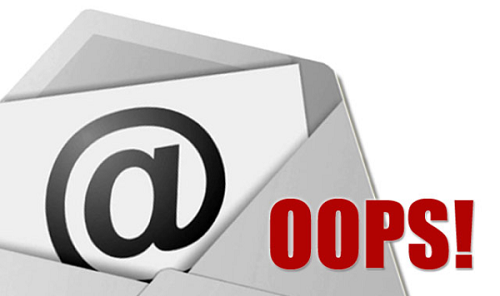 Receiving an email from an unknown source? Definitely a spammer. This is what most recipients think of when they receive a newsletter or a campaign from a company they haven’t signed up with. Gathering a list from subscribers is always better than buying a list of names who haven’t heard of the company you work with. The first thing a recipient will notice upon your entry in his inbox is the single-line content in the subject field. Be sure this is will motivate them to open your message instead of marking you as spam. When to send? How often do I send? These questions plague every marketer and only the numbers from your tests will show the best time to send emails. Take a moment to study how often you should remind readers about the company’s offers. There is something inviting about personalization. Oftentimes, personalized emails get to be read through the end. By putting the recipient’s name on top of the message, you give the impression that it is directed to him and not some commercially crafted one you sent to a thousand more names in the database. Companies now lean on the advantages of online marketing, email being one of the gateways to their success. Having in-depth knowledge on how to work your way through a number of marketers will sure build your career as the one every business needs. connect with through email at a certain time. Its certainly a big treat for the business community. 2) your mail should be should but precise, to the point.